Posted on August 10, 2018 October 14, 2018 by Mat A. The paleo diet? Surely you’ve heard of it, it’s been buzzing around for years. Seems like I’m always coming across stories that talk about what is the paleo meal plan. Keto is another big diet meal plan these days. Getting your body to a state of ketosis. That’s a little more in-depth than the paleo meal plan. The paleo diet is something I read about about 4-5 years ago and was really intrigued. One of the things I liked best was that it was pretty simple. Simple is just how I like things. So let’s get d0wn to business and discuss what is the paleo meal plan. 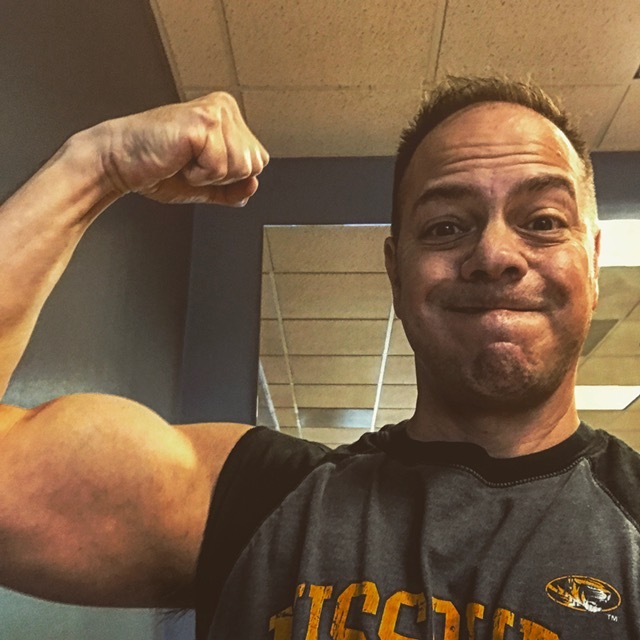 About 5 years ago I started hearing about the Paleo diet and meal plan. I know it was a “thing” before that but this is when I became aware of it. Then I read some things here and there about it, mostly at a surface level. I began to get intrigued because it seems like it was mostly about foods I like anyway and it was pretty simple. Well, the actual diet and meal plan were pretty simple. As we all know making a lifestyle change is not easy at all. Like many things in life it is fairly simple in theory. It’s the actual taking action and sustaining that action towards that change which is hard work. Anyway, I went and bought a book to find out what is the paleo meal plan. After reading it I decided to go for it. I’ll be straight up honest here, I’ve never fully embraced the paleo meal plan. In fact, I would say right now that MOST of the time I follow the primary GUIDELINES of the paleo meal plan. After I read the book a few years ago I decided to jump in and give it a shot. I was still working out regularly but my diet hadn’t been great. I was feeling kind of sluggish and just kind of stagnant. After I embraced the paleo meal plan I felt better almost immediately. I lost about 10 pounds and gained some energy. And the vain person inside of me thought my body looked about the best it had ever looked. And this is when I was just north of 45. 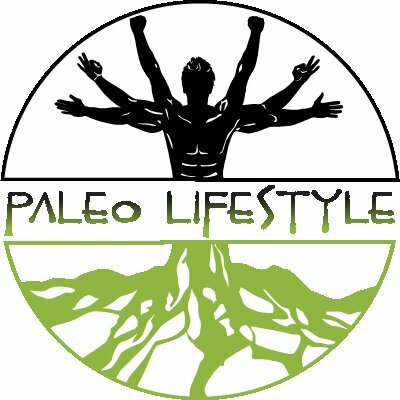 The paleo lifestyle is meant to resemble what our human hunter/gatherer ancestors did many years ago. Based on research it looks like their diet consisted primarily of whole foods. Following a whole food diet and staying fairly active most likely helped our ancestors stay fitter, have lowered risks of diabetes, obesity, and other lifestyle diseases such as heart problems. Really a big part of it is eating much more simply and cleanly. So instead of eating a box of something that is completely manufactured by humans and processed 17 times (such as my daughters favorite “foods”), it’s about eating an apple. Or a tomato. Or almonds and lean protein. Simple and back to mother earth. Other components of living a paleo liftestyle include getting enough sleep. It is recommended that adults get 8-9 hours. As we all know this is close to laughable. I interpret it as getting good sleep whenever possible. Also stress management is big. Minimize the amount of stress in your life. Easier said than done but do your best. Getting regular physical activity. Doesn’t really matter if it’s working out, walking, playing tennis, whatever. Just get regular exercise. And finally having good connections with other people. In general all good advice for a healthy balanced lifestyle. Let’s start with saying that while this seems like it would be a healthy diet plan, the jury is still out. While in theory it seems to make sense to eat like this, there are not definitive studies that show everyone is going to be healthier on a paleo diet. So just bear that in mind. Intuitively it makes sense but there’s not hard evidence yet. That being said let’s look at some of the potential benefits when we answer the question what is the paleo meal plan. Weight loss – If you have weight to lose chances are you’ll lose some pounds if you start following a paleo diet plan. Eliminating carbs and processed food typically results in some weight loss, especially since the typical american diet is so high in both of these. As a reminder, I was in pretty good shape when I started paleo and lost 10 pounds. Get you vitamins & minerals – When you eat a paleo diet you have a much better chance of getting all the vitamins and minerals your body needs. Why? Because you’re eating all the right foods to get them! Reduce inflammation – Research has shown that inflammation can be a leading factor in cardiovascular diseases. When you eat a paleo diet many of the food are anti-inflammatory so you are helping yourself out that way as well. Steadier energy – When you eat foods with a lower glycemic index, that is the sugars are absorbed more slowly into your body, you typically have much less of the type of lag in energy you feel when you ingest refined starches or sugars that are absorbed more quickly. Can help lower cholesterol – Some studies have suggested that a paleo diet plan can help to lower the “bad” cholesterol, low-density lipoprotein as well as triglycerides (fat in the blood). Lower blood pressure – Some studies have also suggested that following a paleo diet plan can help in lowering blood pressure. Almost 30 million Americans, close to 30% of the population, has some form of high blood pressure. 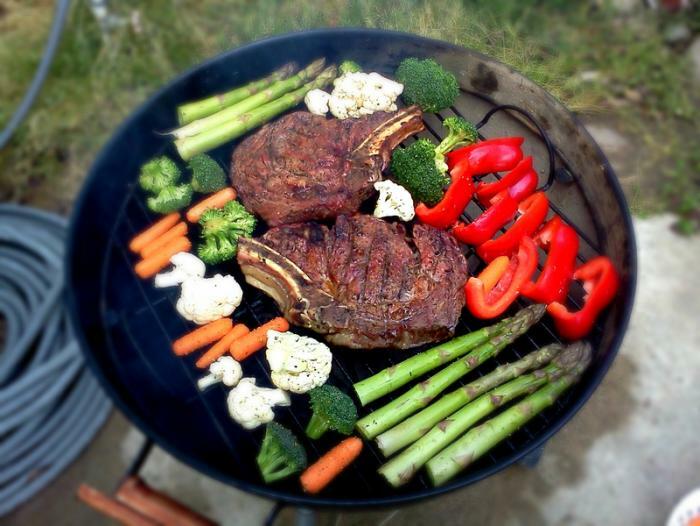 These are some of the potential benefits of following a paleo diet plan. Recently a guy I know and I were talking about a sales coach he was seeing. I was asking him how it was going, what he was learning, etc. He kind of grumbled and said he already know this, didn’t believe in that, and basically wasn’t getting much out of it. My advice to him was treat it as any self-improvement book or resource you read or find interesting. Take what you want from it to use and discard the rest. In my opinion, same advice here. When thinking what is the paleo meal plan and deciding how much to embrace it much like anything else you can go fill tilt or as much as you want. If you truly embrace the paleo lifestyle it’s about as difficult as any other meal plan that’s good for your body. It takes discipline and dedication. You’ve got to buy the right things at the store and do some meal prep and be structured enough to eat paleo on a regular basis. I really like meat, vegetables, and fruit so it wasn’t that hard for me. I still mostly eat that kind of stuff. Sometimes I have a pizza and I’ve never given up sugar in my coffee. When people comment on how well I eat I tell them that’s how it looks about 80% of the time. Mostly until Friday night. And that works for me. When I started along the paleo path several years ago I saw immediate results in my body and energy. And those results have stayed as long as I maintain eating paleo the majority of the time. If you are interested in exploring the paleo lifestyle I’ve included some resources below you can check out. The beginner one can help you gain a deeper understanding of what is the paleo meal plan plus there’s some with some awesome recipes. I’ve tried quite a few and have rarely been disappointed. Paleo Diet: Paleo Diet For Beginners – by Brian James. This is a solid book that provides an overview for beginners. Great place to start. 30 Day Paleo Challenge – by Sarah Stewart. The name pretty much says it all. If you want to dive in fast, go for this one. Paleo All-In-One for Dummies – by Kellyann Petrucci and Melissa Joulwan – 4 times the value and a for dummies as well. Win-win! 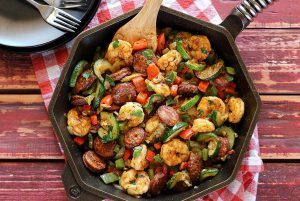 500 Paleo Diet Recipes – by Jennifer Evans. I love this book. Tons of recipes and my favorite, most are simple and easy. Paleo Healthy Snacks Care Package – by the Good Grocer. A buddy of mine ordered this and loved it. The 2 items I tried were awesome! Wrap it Up – To Go! Alright gang, we’ve gone through a fairly good overview of what is the paleo meal plan. Hopefully if you didn’t know anything about it before you know more now. And if you already knew about maybe you learned something new. 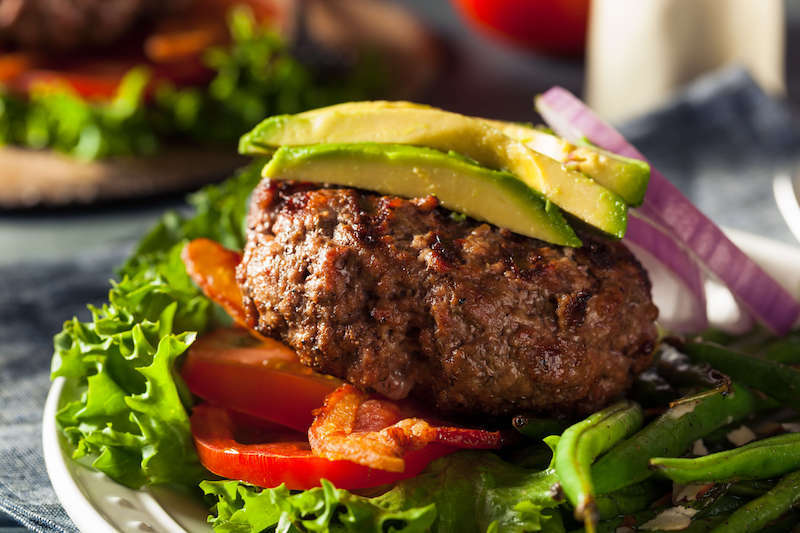 As always I’d love to hear your thoughts on the paleo meal plan diet. I’m very glad I came across it a number of years ago. It has certainly had a positive impact on my overall physical health. Yes, I know it’s all over the media, sometimes I’m a little slow on these things. Hi! Actually, I have never heard of the paleo meal plan, until I read your article. Thank you for sharing!! The idea behind it makes sense! If we want to be healthy, we have to minimize the intake of processed foods. I do have a question: why starchy vegetables like potatoes should be avoided? I eat rice all the time, are there any good substitutes for rice? I’m glad you learned something! It does make sense fundamentally doesn’t it? So the short answer to you question on rice. On the Paleo diet you shouldn’t eat rice so no, there is no substitute. However, if you want to eat rice in general you can have brown instead of white or also try quinoa or barley. Cheers! I say yes you found the perfect diet reading your page was awesome plan to visit lots for possible recipes I am diabetic type 2 and Honey believe it or not but I have proven it to my doctor help the body make insulin but only type 2 because you have to have a working pancreas so . I am impressed with your page . We bought a cooker that I can’t wait for it to get here because I’ll have a way to cook steaks and chicken and my veggies all together for the best natural seasoning no salt for high blood pressure and fewer additives better for the body in general so my friend I am following you and can’t wait for more I know you will have more soon . Thank You . your site is totally cool had to stop reading to eat my own steak green beans and red potatoes . I know potatoes are bad but I get 1/2 cup so . your site rocks my dietary world Thank You for your knowledge on our most natural need. We might talk soon Marleena Thomas. Thanks for the note! I absolutely love my cooker and use it weekly. I have found some wonderful paleo recipes that work beautifully in the cooker. Actually in my last pot roast cooker I tried out I used red potatoes too!